This one way cruise from Dubrovnik to Split showcases the best of the Southern Dalmatian islands. You will be cruising on an intimate & luxurious Mini Cruiser, which boasts spacious decks for relaxing when you're not taking a dip in our crystal clear Adriatic. In the afternoons, we dock while you explore and enjoy many islands, coastal towns and villages. Extra services such as gourmet cuisine and wine experiences are included in this package. This Deluxe Cruise visits Split, Hvar, Vis, Korčula, Mljet, Ston and Dubrovnik. Our small ship cruises along our charming Croatian coastline and the spectacular islands of Southern Dalmatia. Guests sail on our new, lavishly designed, air-conditioned vessels, with spacious en-suite cabins. This one way itinerary from Split to Dubrovnik includes exciting gastronomic and sightseeing experiences, with visits to Split, Hvar, Vis, Korčula, Mljet, Ston and Dubrovnik. Our luxuriously designed, mini cruiser will take you on a breathtaking and memorable voyage along our stunning Adriatic coast and islands. The vessel has spacious en-suite cabins, also comfortable and relaxing sun decks and shared areas. This deluxe cruise visits Split, Pelješac Peninsula, Mljet, Dubrovnik, Korčula, Hvar and Bol, with included sightseeing and culinary experiences…. (and multiple stops for sea dips along the route). Deluxe small ship cruises along the charming Croatian coastline and islands from Istria to Dalmatia. Sail on our Deluxe Superior vessel, Black Swan. For this trip, all you will need is flip-flops, a few shirts/sundresses, and your swimsuits. Spend 7 unforgettable days sailing on the northern Adriatic Sea from one island to another. Relax and let the captain and his crew (especially the chef!) take care of you. Epic landscapes, history, culture and laid-back charm. 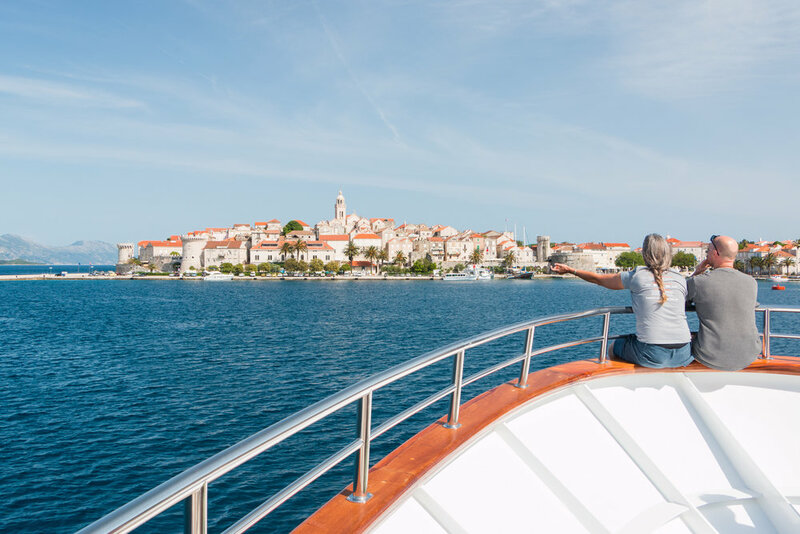 Experience it all cruising along our spectacular Croatian coastline and islands on the new and tastefully designed, Deluxe Superior and Deluxe vessels. Beautifully appointed ships with full air-conditioning and spacious en-suite cabins. Relax on spacious decks or swim in our crystal clear Adriatic Sea…then explore small historical towns, visit postcard-perfect beaches, shop in local markets, and taste all of our stunning cuisine. This cruise from Opatija to Dubrovnik visits some of the best Croatian islands and coastline, and includes numerous services, wine and culinary experiences. The new and stunning Deluxe superior vessel, with spacious en-suite cabins and every comfort, is the perfect way to experience the beauty of this long stretch of Croatian coastline. On the move, relax on spacious decks or swim in the crystal clear Adriatic Sea during stops. When we dock, explore small waterfront towns and wander. Experience stunning, breathtakingly beautiful landscapes, traditional culture and laid-back style. 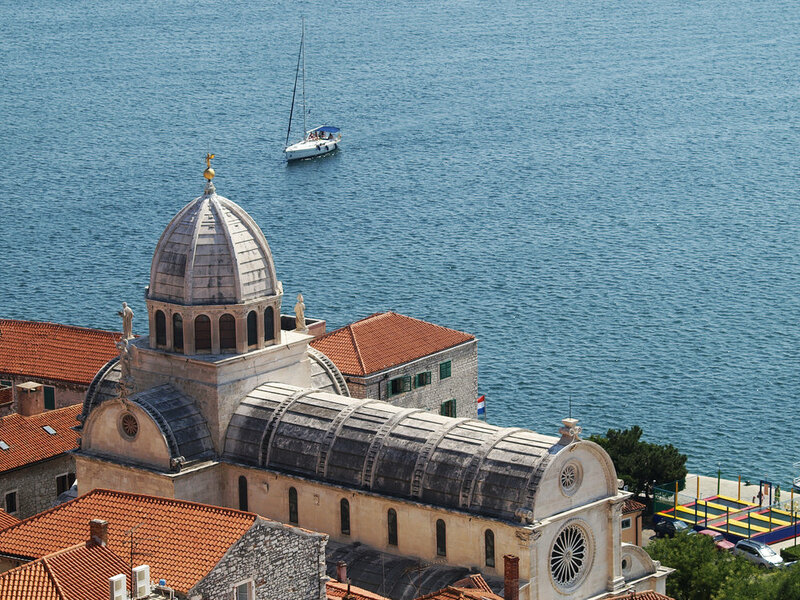 This cruise from Dubrovnik to Opatija visits memorable Croatian islands and stunning ports and coves along the coast. A great value with wine and gourmet culinary experiences included.